Point Reyes is a place of timeless beauty. Its rocky coastal shorelines, protected bays and long sandy beaches make this natural wonderland an ideal place for a exploration of a multitued of coastal environements… A synphony that only nature can present. A 60 minute nature recording. In Point Reyes National Seashore, the challenge of reproducing waves and wind in a subtly changing series of locations is admirably met. 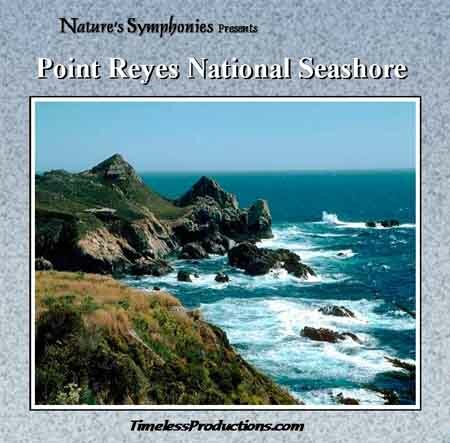 There are six locations featured, and I almost expected to hear Mr. Blonski’s footsteps as the scene gradually changed from windy dunes, to quiet inlet, to rocky tidepools! The very rocks are nearly visible in the McClure’s beach segment. There are birds, of course, and sea lions, but it is the seashore itself that stars in a virtuoso performance. As a resident of the Pt. Reyes peninsula, I feel that my neighborhood is well presented here.